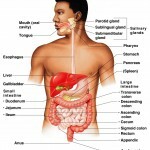 A gland is one or more cells that produce and secrete a specific product. The product is always a water-based fluid (aqueous) and usually contains proteins (the product is referred to as a secretion). 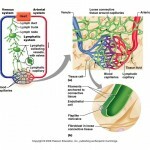 Secretion is considered an active process. Glandular cells obtain substances needed from blood and transform them (chemically) into a product that’s discharged from the cell. Where they release their product- glands can be endocrine (secrete internally) or exocrine (secrete externally). The number of cells they contain- glands can be unicellular (one-celled) or multicellular (more than one cell). Endocrine glands are also called ductless glands because eventually, they lose their ducts. They produce hormones (chemical messengers ) and secrete them by exocytosis into the extracellular space. 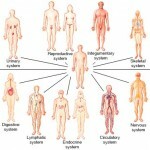 After entering the extracellular space, they enter the blood or lymphatic fluid and travel to specific organs. 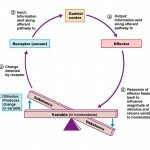 Each hormone makes its target organ respond in a specific way. 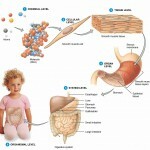 For instance, hormones produced by intestinal cells cause the pancreas to release enzymes that aid in digestion. Not all endocrine glands have the the same structure, so a single description cannot be used. Typically, they are compact multicellular organs but there are individual hormone producing cells as well (specifically in digestive tract mucosa and the brain). Hormones secreted by endocrine glands vary. For instance, one gland might secrete an amino acid while another secretes glycoproteins or steroids. Important– not all endocrine glands are epithelium. Exocrine glands secrete their products onto the skin or into body cavities. Unicellular exocrine glands do this directly by exocytosis, while multicellular glands transport their product through a duct on the epithelial surface. Products secreted by exocrine glands include sweat, oil, mucous, bile, and more. Important examples of unicellular glands include goblet cells (looks like a goblet) and mucous cells. 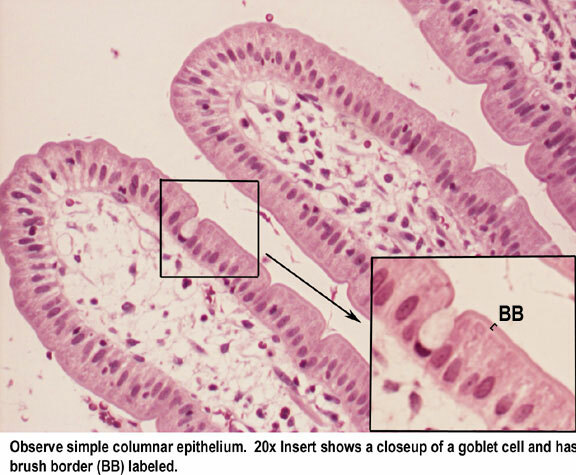 Unicellular glands can be found within the epithelial linings of the intestinal and respiratory tracts. In humans, unicellular exocrine glands produce mucin, a complex glycoprotein that dissolves in water. When the mucin is dissolved, it forms mucous (which protects and lubricates surfaces). Structurally, multicellular exocrine glands are more complex than their unicellular neighbors. 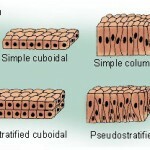 They have two main parts: an epithelium-derived duct and a secretory unit (made of secretory cells). In almost all cases, the secretory unit is surroundedby connective tissue. 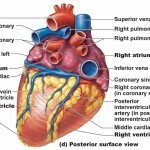 The connective tissue supplies the secretory unit with blood vessels and nerve fibers . It also forms a fibrous capsule that extends into the gland and divides it into lobes. Multicellular exocrine glands are classified by structure and secretion (type). Image of a unicellular exocrine gland (goblet cell). Multicellular exocrine glands are structurally classified depending on the structure of their duct. Since multicellular exocrineglands secrete their products in a number of different ways, they can be further classified by function. Merocrine glands– secrete their products by exocytosis during production (the pancreas and most sweat/salivary glands belong to this class). Holocrine glands– accumulate their products until they rupture and die. Holocrine glands secrete dead cell fragments along with their main product, this is why they must rupture and die when the product is released. Sebaceous (oil) glands are the only holocrine glands within the human body. Note: other animals have glands called apocrine glands. There is still controversy in the scientific community pertaining to whether humans have this third type of gland. Studies are currently underway. 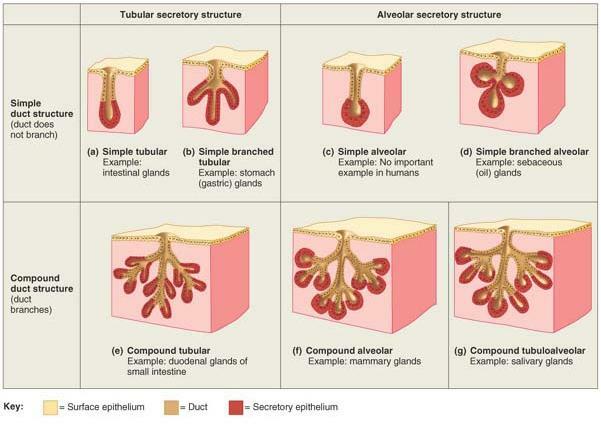 This page was very helpful in the understanding of Glandular Epithelium. Thanks a lot.